In choosing Virginia Sen. Tim Kaine as her running mate, Hillary Clinton has left open to question how hard she will be competing this fall for rural votes, which increasingly have gone Republican in recent presidential elections. 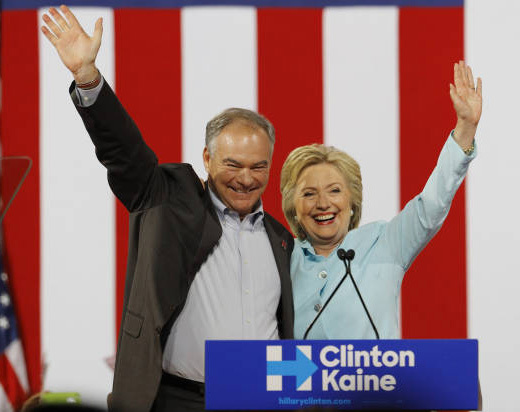 Numerous media reports this week had Kaine and Agriculture Secretary Tom Vilsack, a former Iowa governor, as the last two finalists in the Clinton veepstakes. A selection of Vilsack would have signaled the targeting of "white working-class men — especially in rural areas — in the Midwest," also being targeted by Donald Trump with his pick of Indiana Gov Mike Pence, Gabriel DeBenedetti and Helena Bottemiller Evich reported for Politico Tuesday. Clinton and Vilsack have known each other for 40 years, and he supported her when he dropped out of the presidential race in 2007. But when his name surfaced as a finalist, some African Americans questioned it, giving his hasty firing of USDA official Shirley Sherrod, a black woman, in 2010 after she was misquoted by a right-wing news site. Vilsack has little if any record on gun issues, but Kaine has an F rating from the National Rifle Association. Debuting with Clinton in Miami, he said, "When the vast majority of Americans and a majority of [National Rifle Association] members agree that we have to enact common sense gun safety measures, Hillary and I will not rest." Kaine, 58, grew up in a suburb of Kansas City, Kan. He is the son-in-law of Linwood Holton, the first Republican governor of Virginia (a moderate, 1970-74) and a native of Big Stone Gap, in the Central Appalachian coalfield. 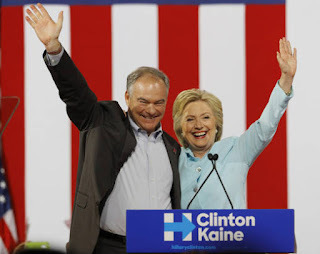 Kaine started his political career on the Richmond City Council, which elected him mayor of the racially fractious city, then was lieutenant governor. After a term as governor (Virginia allows only one) he was President Obama's first chair of the Democratic National Committee. "As governor of Virginia, Mr. Kaine appealed to both Democrats in urban pockets and independents in rural areas, and established a reputation as a pragmatic consensus builder," writes Amy Chozick of The New York Times. But his main appeal in the 2012 Senate race was to swing voters in Northern Virginia, and when he made an appearance with Clinton in Virginia last week, it was in the Washington, D.C., suburb of Annandale. Kaine's main electoral assets appear to be his residence — Virginia is a swing state with 13 electoral votes, and Clinton will now be able to spend elsewhere most of the money she would have spent in the Old Dominion — and his fluency in Spanish, which will help turn out Hispanic voters in several other swing states. But he may add a flourish from old-time rural campaigns; he plays the harmonica. Kaine has no apparent blemishes on his record. Virginian Dave "Mudcat" Saunders, a political consultant who once specialized in reaching rural voters for Democrats, has been skeptical of Clinton's prospects and has said he will vote for Trump, told Paul Schwartzmann of The Washington Post: "The boy is cleaner than the Board of Health. If there's one thing Hillary needs, it's clean." The U.S. Department of Agriculture is "becoming Uncle Sam’s lead tool to fight a social emergency -- soaring drug use, rising suicide rates and deepening poverty -- spreading across the heartland," Alan Bjerga reports for Bloomberg News. “We’re charged with the responsibility of filling the gap to make sure rural America hasn’t been forgotten,” Agriculture Secretary Tom Vilsack told Bjerga, who reported from Pomeroy, Ohio, "a town of about 1,800 people about 200 miles south of Cleveland, where . . . the opioid epidemic has accompanied an ebbing-away of jobs and, among some demographics, an unprecedented drop in life expectancy. Any Norman Rockwell idyll of white-picket fences and unlocked front doors has long since been upended by globalization." Bjerga says USDA's role illustrates a point not often made: "The government, like the wider culture, is much more attuned to the problems of urban areas where most Americans live. That’s why Donald Trump’s message -- repeated at the Republican National Convention up the road in Cleveland, where he accepted the nomination last night -- of fighting for the small-town folks has resonated so much in rural parts of swing states like Ohio." According to the Fact Checker column of The Washington Post, Trump followed that statement with a lengthy list of incorrect assertions. 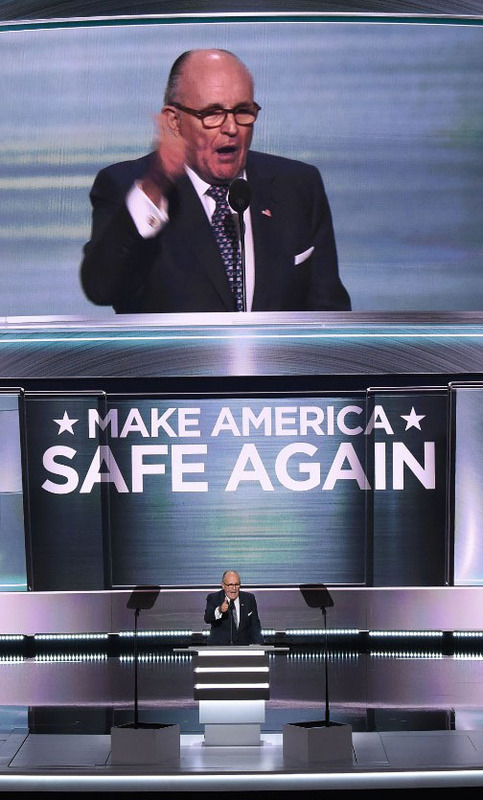 Politifact, NBC News, The New York Times and FactCheck.org offered similar reviews of Trump's presentation. Trump said the nuclear deal with Iran “gave back to Iran $150 billion and gave us absolutely nothing." 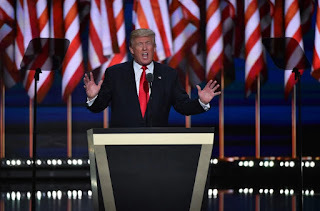 Kessler and Lee write, "Trump frequently misstates the facts about the Iran deal, making it sound like the United States simply shipped $150 billion of taxpayers’ funds to Iran. This was always Iran’s money, frozen in banks around the world, but $150 billion is the high estimate of the money that could be received." "The Treasury Department says the figure is in the range of $100 to $125 billion, but the usual liquid assets would only be about $50 billion, as the rest of the assets are either obligated in illiquid projects (such as over 50 projects with China) that cannot be monetized quickly, if at all, or are composed of outstanding loans to Iranian entities that cannot repay them," Kessler and Lee write. "For its part, the Central Bank of Iran said the number was actually $32 billion. Reasonable people can disagree on the merits of the Iran deal, but it’s a stretch to say 'nothing' was received. Iran’s nuclear program was certainly put on ice for at least a decade." Speaking of Syrian refugees, Trump said, "there’s no way to screen these refugees in order to find out who they are or where they come from," Kessler and Lee write, "The process of vetting refugees starts with the United Nations High Commissioner for Refugees and then continues with checks by U.S. intelligence and security agencies. It takes one to two years, or longer in some cases." Politifact has a detailed description of the process. Beyond the fact checkers, other journalists took issue with Trump. NYT columnist David Brooks said the nominee's focus on law and order was "based on a falsehood. Crime rates have been falling almost without fail for 25 years. Murder rates have been rising just recently among gangs in certain cities, but America is much safer than it was a decade ago. In the first half of 2015, for example, the number of shootings in New York and Washington hit historic lows." In his speech, Trump said the Obama adminstration had failed inner cities on crime. "Trump dwells on illegal aliens killing our children," Brooks wrote. Between 2010 and 2014, only 121 people released from immigration custody later committed murder; that’s about 25 a year. Every death is a horror, but the number of police officers killed each year as a result of a crime is about 55, in a nation of over 320 million people. The number of police deaths decreased by 24 percent between 2005 and 2015." Next week we will share what fact-checkers have to say about the Democratic convention. These reports excerpt only a small part of what they have to offer. 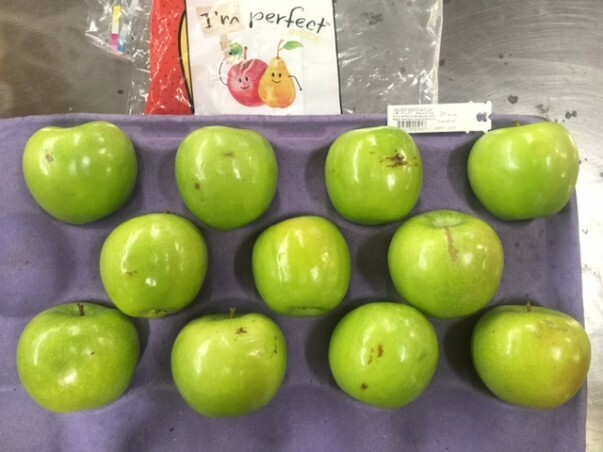 Walmart, the largest grocery store chain in the U.S. with more than 4,000 stores, this week began a pilot program selling imperfect apples, so-called "ugly fruit," at 300 stores in Florida, in what says is an effort to cut food waste. "Ugly fruits and vegetables are a fact of life on the farm," Maria Godoy reports for NPR. "Sometimes the dents and scars are so minor that you wouldn't think twice about buying them. They're perfectly edible, delicious and just as nutritious as their unmarred brethren—or perhaps even more so. But their cosmetic challenges (think hail-pocked apples or curvy leeks) have traditionally kept them out of retail stores." For the 11th straight month the Rural Mainstreet Index was below 50, showing an economic decline. July's number was 39.8 on a 100-point scale. Creighton University economist Ernie Goss surveyed 174 bank executives in Colorado, Illinois, Iowa, Kansas, Minnesota, Missouri, Nebraska, North Dakota, South Dakota and Wyoming. Officials in rural Hugo, Colo. (Best Places map), on Thursday warned residents not to drink or bathe in water or allow pets to drink it, because water supplies tested positive for tetrahydrocannabinol, the main psychoactive compound in marijuana, John Ingold reports for The Denver Post. "There have been no reports of illnesses or any symptoms of impairment from drinking the water, officials said." Hugo, located in Lincoln County, does not have any commercial marijuana operations. 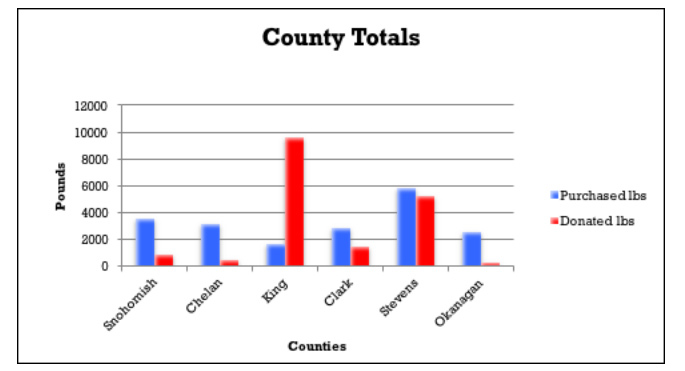 The county of 5,420 residents has 62 medical-marijuana patients, according to the state Department of Public Health and Environment. "Concerns about the water were first raised by a Hugo company using quick 'field tests' to check employees for THC," Ingold writes. "The simple tests are similar in function to home pregnancy tests in that they can return only two results: positive or negative." The company conducting the tests "had been getting inconsistent results and decided to test a vial of tap water, expecting it to be negative. Instead, the test came back positive, and the company called authorities." 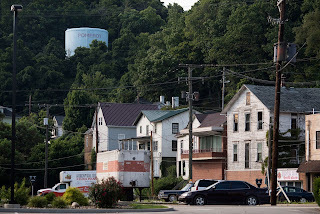 "Lincoln County officials conducted 10 other field tests, using two different types of test kits, on the town’s water and six came back positive," Ingold writes. "Authorities later isolated the positive results to a single well—well No. 1, about a mile south of Hugo’s small downtown." The well showed signs of forced entry, but officials said it was unclear when the damage occurred. The source of the chemical remains a mystery, on more than one level. THC is not soluble in water. 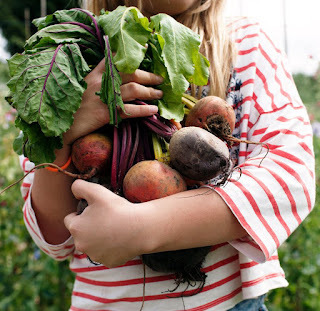 The problem is that "the time and expenses required to get organic certification present major roadblocks for increasing the amount of organic farmland in America," Messinger writes. One California farmer who was recently certified organic said "he spent three years working to demonstrate the use of eco-friendly pest and soil management practices and paid between 10 to 20 percent in higher labor cost. Yet he was unable to convince processors that pack and ship his harvest to pay more for his fruit—which he was already cultivating by using the organic standards set by the federal government—during that period." Last night the star of the Republican National Convention was supposed to be Indiana Gov. 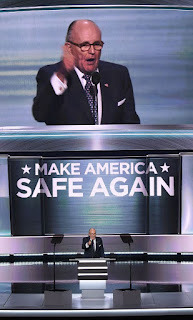 Mike Pence, the vice-presidential nominee. But Texas Sen. Ted Cruz stole the show by refusing, in the face of chants and boos from Donald Trump supporters, to endorse his former primary rival. This morning, in a performance just about as remarkable, Cruz defended himself before the Texas delegation. Cruz is clearly running for 2020, but his critics say he has killed his presidential prospects. What do the Cruz supporters in your area think? This is a story easy to localize. 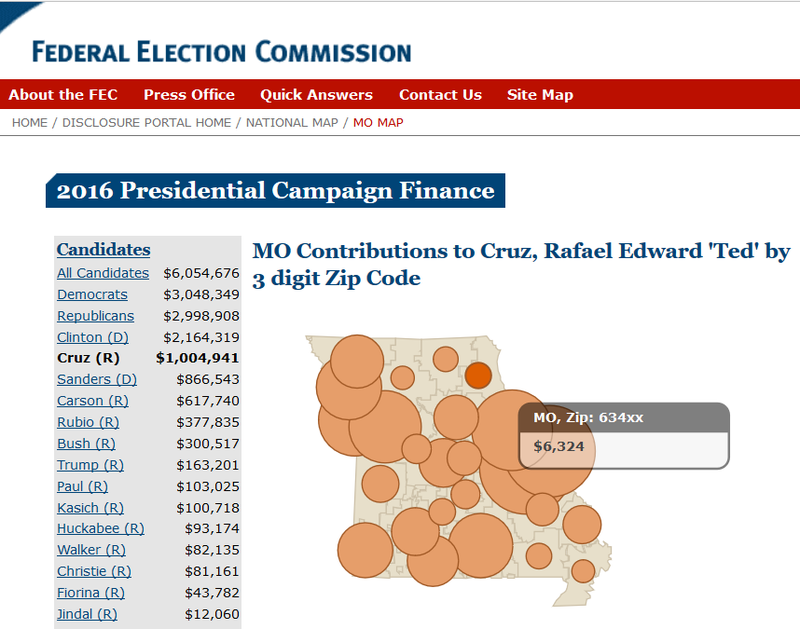 If you don't know who your local Cruz supporters are, you can look up his contributors in your three-digit ZIP code area on a page of the Federal Election Commission website, here. Just click on your state, then the candidate, then the ZIP code area. There's also a button (not visible on the cropped screenshot example below) to download the names, addresses and amounts of contributors to an Excel file. Then call 'em up and ask, is Cruz doing right or wrong? If enough journalists did this, and shared the results with us, we could get an idea of how Cruz is playing and how unified the Republican Party is. In any event, it's still an excellent way to localize the biggest current national event. 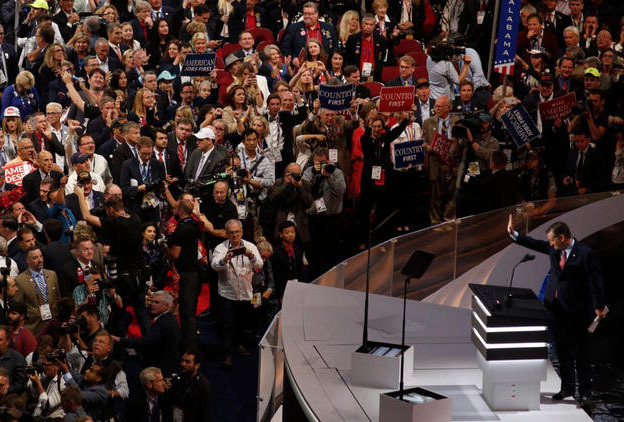 The Republican National Convention has completed its third day, and we take a look at what fact-checkers are saying about Wednesday's speeches. The Rural Blog will be providing excerpts from both conventions. If you want to re-publish them, we encourage you to look at The Washington Post's Fact Checker, FactCheck.org or Politifact for full context and things you may want to add. The fact-checkers looked at a lot more assertions yesterday than we have room to publish here. Donald Trump's running mate, Indiana Gov. Mike Pence, "said that Hillary Clinton’s 'only answer' to the debt 'is to keep borrowing and spending,'" Lori Robertson writes for FactCheck. "But the nonpartisan Committee for a Responsible Federal Budget found that Trump’s tax and spending plan would cause a 'massive increase' in the debt, while Clinton’s plan would result in a 'relatively small' increase." Trump's son Eric "claimed that the U.S. is 'one of the highest-taxed nations in the world,' but U.S. personal taxes aren’t even in the top 10 among industrialized nations," Robertson writes. The U.S. does has one of the highest business-tax rates. "Florida Gov. Rick Scott claimed the U.S. has 'world-record high debt'— it actually ranks 39th out of 178 nations in terms of debt as a percentage of GDP. And he said the U.S. economy is 'not growing,' when it is." 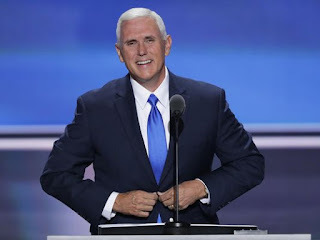 Pence took out of context a Clinton quote about the Benghazi terrorist attacks, which left four Americans dead, report Glenn Kessler and Michelle Ye Hee Lee of the Fact Checker. At a congressional hearing, Sen. Ron Johnson (R-Wis.) "pressed Clinton repeatedly why she did not directly speak to survivors of the attacks to find out if it had been prompted by a protest, as initial media reports indicated. Her answer was an FBI investigation into the attacks had been launched and that it would have been inappropriate to speak to people who were being interviewed by professionals." Pence said Indiana has "a $2 billion surplus, the highest credit rating in the nation, even though we've cut taxes every year since I became governor four years ago." Actually, it's tied with 14 other states for highest, Allison Graves and Neelesh Moorthy write for Politifact. Federal judges this week ruled against voter-identification laws in Texas and Wisconsin that critics say are barriers to people more likely to vote Democratic. Also, the American Civil Liberties Union filed a lawsuit against Kansas over a rule change passed last week that would throw out up to 50,000 votes cast by people who registered at the Department of Motor Vehicles, where proof of citizenship is not required to register to vote. The U.S. Fifth Circuit Court of Appeals ruled Wednesday that "Texas’ voter identification law violates the U.S. law prohibiting racial discrimination in elections," Jim Malewitz reports for The Texas Tribune. The court ruled that the state's "2011 voter ID law—which stipulates the types of photo identification election officials can and cannot accept at the polls—does not comply with the Voting Rights Act. Texas is among nine states categorized as requiring 'strict photo ID,' and its list of acceptable forms is the shortest." Because not every Texas county has an office that generates driver's license or alternate photo IDs, the law has a disproportionate impact on rural areas. On Tuesday a federal district judge in Milwaukee ruled "that Wisconsin voters without photo identification can cast ballots by swearing to their identity," Patrick Marley and Jason Stein report for The Journal Sentinel in Milwaukee. The decision "creates a pathway for voters with difficulties getting IDs who have been unable to cast ballots under the state's 2011 voter ID law." "The ruling will allow voters to use affidavits instead of IDs to vote in the Nov. 8 presidential election," Marley and Stein write. "But this new system will not be in place for the Aug. 9 primary for congressional and state legislative races because Adelman determined election officials needed more time to implement it." The ACLU said in its lawsuit against Kansas Republican Secretary of State Kris Kobach that "the dual voting system established by his office last week violates a previous court ruling," Bryan Lowry reports for The Wichita Eagle. "A state panel approved a temporary rule last week to allow more than 17,000 Kansans, who registered to vote at DMV offices without providing proof of citizenship, to vote in federal elections this August and November under the federal motor voter law." The Kansas State Rules and Regulations Board said those votes wouldn't count. The number of votes that would be tossed out could reach 50,000 by the presidential election. "The move was meant to satisfy a federal court order," Lowry writes. "But the ACLU contends that blocking these voters from state and local elections runs afoul of a previous ruling by a Shawnee County judge that Kobach lacks the authority to create a dual voting system." 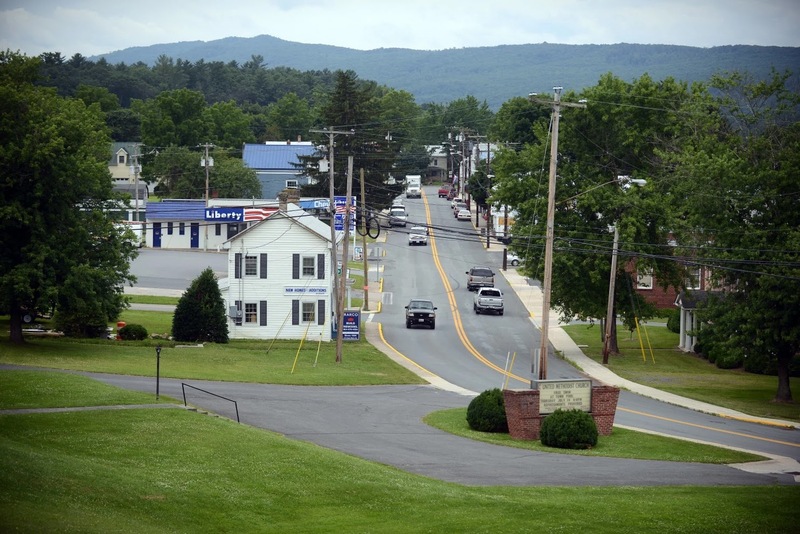 In the past two years 16 new businesses—13 owned by newcomers—have popped up on Main Street in Wardensville, a town of about 250 residents whose downtown was once filled with vacant storefronts, Malinowski writes. In 2015, there were 115 local real-estate sales, up from 61 in 2012. One factor that helped: "In 2010, Hardy County received a federal grant to lay fiber-optic cable for internet service throughout the area," bringing in high-speed broadband. 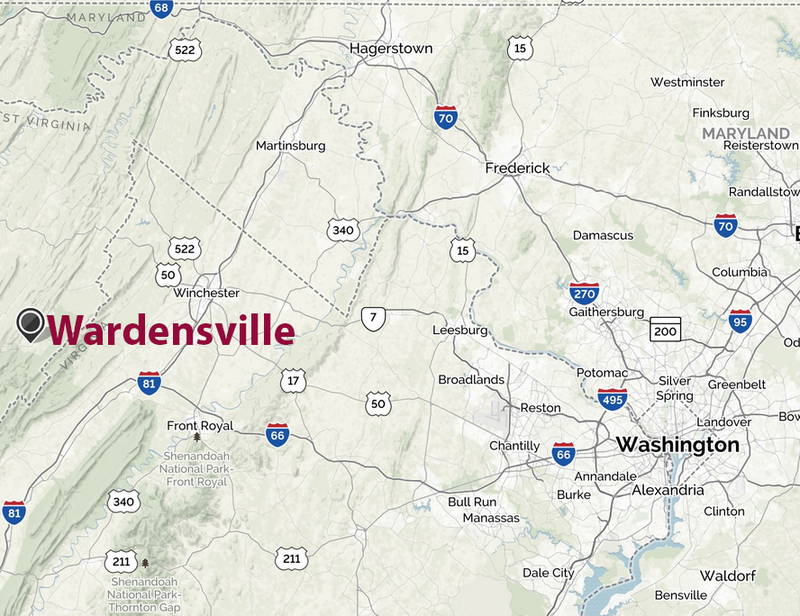 "What is happening in the area seems to fit the definition of gentrification; the new residents moving into Wardensville and Hardy County often have D.C. salaries that far exceed the area’s median household income, which the 2010 census put at $31,347," Malinowski writes. "Wealthy gentrifiers moving into the relatively poor, rural area come with their own tastes, and the new businesses popping up often seem like they belong in Columbia Heights or Bloomingdale. Breweries, restaurants with city-level prices and art galleries are bringing the larger world into the small town." 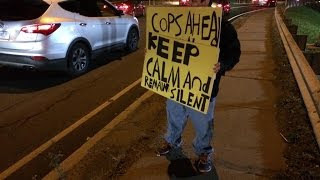 Police officers in Connecticut are making fewer traffic stops, largely because of growing fear of increased tension between police and residents, escalated by recent national shootings of police officers and by police officers, Dave Altimari reports for the Hartford Courant. In 2015 Connecticut police made 576,000 traffic stops, 20,000 less than in 2014. Some police chiefs attribute the reduction in stops "to the growing animus between officers and the public." The number of statewide tickets issued in 2015 decreased by 24,196, or 6 percent, according to data submitted by the departments to the state racial profiling prohibition advisory board, Altimari writes. "Ninety-three departments reported a decrease in infractions issued and 37 departments reported an increase last year" and "about 60 police departments reported a decline in motor vehicle stops, compared to about 40 departments that reported an increase." 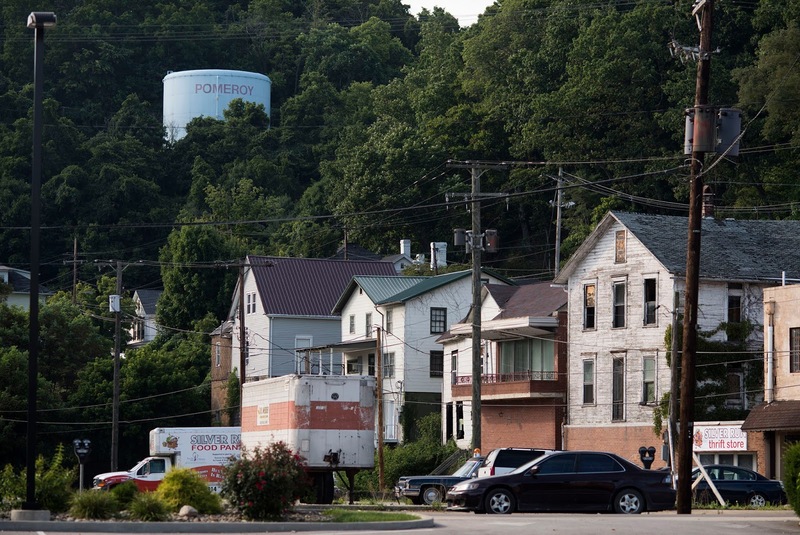 In Hartly, the state's smallest incorporated town with 74 residents, local officials searched back to the 1990s, but were unable to find any FOIA requests, Anderson writes. 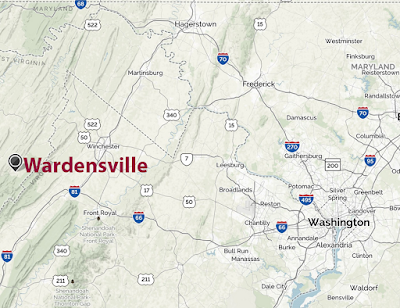 The town has a website link for FOIA matters, which Delaware Code requires, but it appears to have never been used. 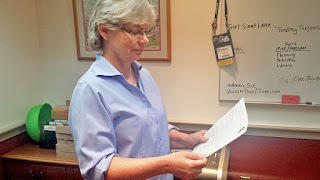 Suzanne Morris, town commissioner and clerk, told Anderson, "I can tell you that to the best of my knowledge Hartly has never received a FOIA request." Shootings of police officers in Dallas and Baton Rouge, and Tuesday in Kansas City, have led rural police departments in Missouri to change the way they respond to 911 calls, Sara Forhetz reports for KYTV-3 in Springfield. Smaller counties in Missouri "say they are doing a few things differently now, such as whenever someone calls 911, asking a lot more questions on the phone before they respond. It might take a little longer to get there to the scene, but at least they know who they are dealing with and what the situation is." Iowa only has one immigration office, in Des Moines, meaning that someone like French-born Stephanie Rickels, who lives in rural Cascade, Iowa, has to drive 183 miles each way for appointments, Millhouse writes. Her three required trips—her last appointment lasted 15 minutes—will equal 1,098 miles. While being a teacher affords Rickels time during the summer to make three trips to Des Moines, some rural residents are not so lucky, Millhouse writes. Some people can't afford to take time off from work, while others lack the transportation. Rural transit authority is available from Cascade to Des Moines, but three trips cost about $450. 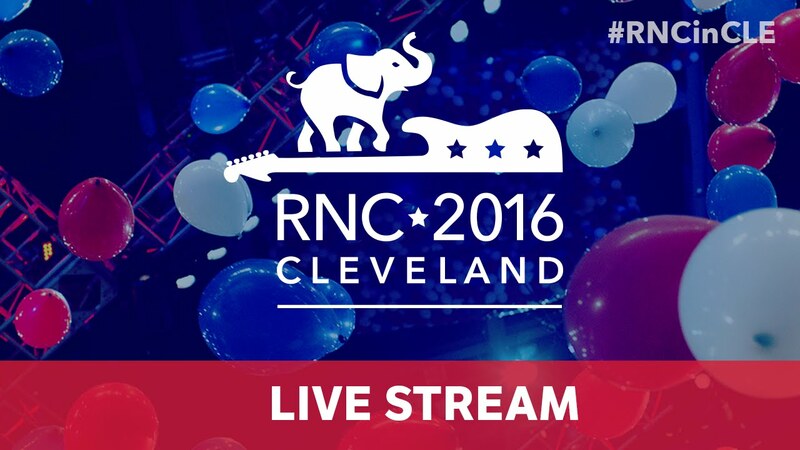 Advances in social media are changing the way the Republican and Democratic National Conventions are being covered. "In 2012, live video coverage was almost exclusively the domain of news organizations," Shelley Hepworth reports for Columbia Journalism Review. "Now social platforms have set their sights on live streaming, and the 2016 conventions are shaping up to become a frenzied microcosm of the next era of live event coverage." Hepworth writes, "The advent of live social streaming comes at a time when TV audiences are shrinking. Until now, live event coverage on TV has been relatively immune to digital encroachment, but new tools mean networks can now expect to be challenged on that front, too, with some commentators suggesting they could spell the demise of cable news." The Republican National Convention has completed its second day, and we take a look at what fact checkers are saying about Tuesday's speeches. The Rural Blog will be providing excerpts from both conventions. If you want to re-publish them, we encourage you to look at The Washington Post's Fact Checker, FactCheck.org or Politifact for full context and things you may want to add. The fact-checkers looked at a lot more assertions yesterday than we have room to publish here. 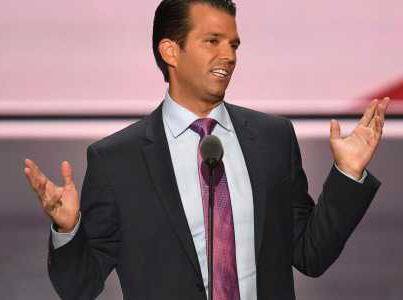 On Tuesday Donald Trump Jr. (left) said Hillary Clinton would destroy Medicare for seniors. Glenn Kessler and Michelle Ye Hee Lee write for the Post, "This is a mysterious claim by Trump’s son that appears to have no factual basis. There is no specific proposal by Clinton that could be said to 'destroy' Medicare, the health-care program for the elderly." "The most substantive change that Clinton would make is to allow people older than 55 to join Medicare; currently it is limited to those age 65 or older," the writers report. "But the effect on the program, while uncertain, does appear to be limited, especially if premiums are set correctly, according to a 2008 Congressional Budget Office study of options for Medicare. (The CBO looked at a general buy-in program as well as one for people as young as 62.) Such a plan may lead people to retire early, thus reducing the size of the workforce, but that’s entirely different from 'destroying' Medicare." Lori Robertson of FactCheck.org writes, "Senate Majority Leader Mitch McConnell wrongly said that Clinton was for the Keystone XL pipeline before she was against it. She did not take a position until she opposed the pipeline in 2015." Also, concerning the threat from Zika, McConnell said “Clinton Democrats in the Senate blocked a bill aimed at eliminating that virus before it can spread.” The whole story is that Democrats objected to “poison pills” Republicans added to the bill, primarily denying of the funding to Planned Parenthood. McConnell also claimed that the Senate “ended Common Core.” It may have eliminated any connection to federal funding, but the Common Core State Standards are a creation of the states, not the federal government. But the Post found McConnell was correct in saying Clinton made up a story about landing under sniper fire in Bosnia. New Jersey Gov. Chris Christie said Clinton "had expressed support for Syrian President Bashar al-Assad, despite documented human rights abuses in the country," claiming she called the leader, who Christie said is responsible for 400,000 deaths, a reformer, Allison Graves and Neelesh Moorthy report for Politifact. What Clinton actually told CBS's Bob Schieffer in a 2011 interview was, "Many of the members of Congress of both parties who have gone to Syria in recent months have said they believe he's a reformer." 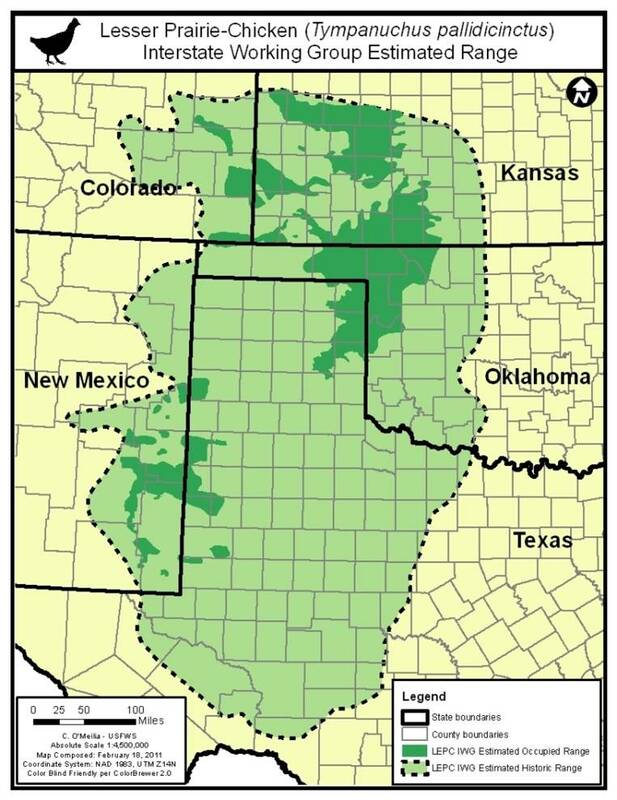 In June 2014, the Permian Basin Petroleum Association and several New Mexico counties "filed a lawsuit challenging the service’s 2014 listing," Neeley writes. "In September 2015, a court ruled in favor of the plaintiffs and vacated the final listing rule, effectively ending ESA protections for the bird. The ruling also invalidated USFWS’s rule under section 4(d) of the ESA that tailored regulations governing take of the species to focus on activities that are threats to the species’ survival." 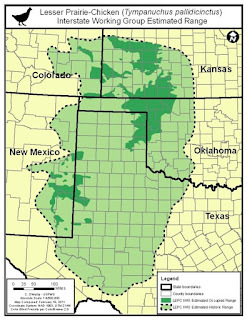 "Once abundant across much of the five range states of Texas, New Mexico, Oklahoma, Kansas and Colorado, the bird’s historical range of native grasslands and prairies has been reduced by an estimated 84 percent, according to USFWS," Neeley writes. 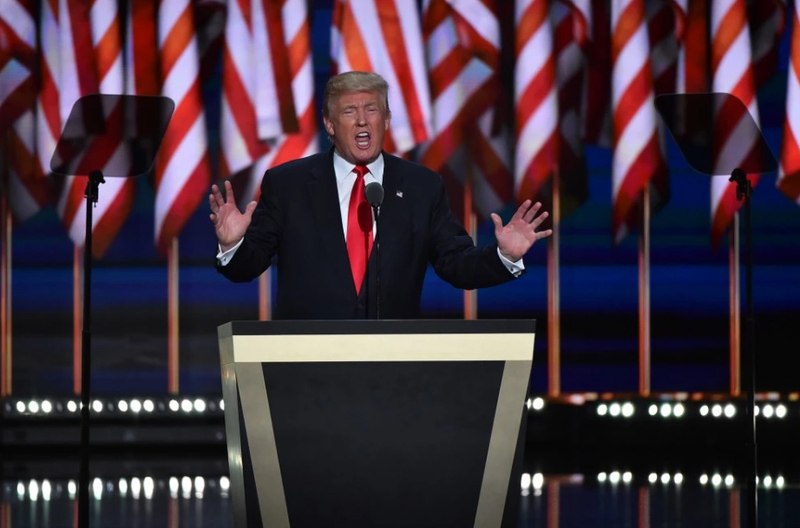 Assertions made from behind the lecterns at national political conventions often don't get the scrutiny they deserve, because speakers appear in rapid succession, and some of them don't merit the sort of attention that candidates and elected officials do. Also, television reporters and anchors usually don't have the corrective facts handy. However, The Washington Post's Fact Checker unit (Glenn Kessler and Michelle Ye Hee Lee) is performing this important duty at this year's conventions, and The Rural Blog will be providing excerpts from both gatherings. If you want to re-publish them, we encourage you to look at the Post's reports for full context and things you may want to add. Last night two survivors of the attack on the Benghazi consulate "repeated claims that have been questioned by various investigative committees," the Post reports. "Despite repeated claims of a stand-down order, various investigations have found that at best it amounted to tactical disagreements." One survivor said "Hillary Clinton failed to protect her people on the ground," and the mother of a killed State Department official said "I blame Hillary Clinton personally for the death of my son," but the Post notes, "The security decisions were made well below Clinton’s level and no evidence has emerged that Clinton was aware of the requests." The mother also said Clinton "looked me squarely in the eye and said a video was responsible" for motivating the attack. She did not include Clinton in her initial version of the account, adding her later. "All but one of the family members interviewed by The Fact Checker disagreed with this account," the Post reports. Former New York Mayor Rudolph Giuliani claimed "Hillary Clinton is for open borders," but that's an exaggeration, the Post says: "Clinton has said she would expand Obama’s executive actions on immigration, and has advocated comprehensive immigration reform including a pathway to citizenship. But she also has supported enhanced border security." Peter Atwater, a consultant who studies the tides of consumer confidence, said "the average Republican is as pessimistic about the economy today as the day Lehman Brothers collapsed eight years ago," Galofaro writes. "That perception of decline—that the country is careening in the wrong direction—can be as politically potent as watching your hometown wither, he said." Some call those people "nostalgia voters." Identity-fraud charges against North Georgia publisher Mark Thomason and attorney Russell Stookey were officially dismissed Monday, Jim Zachary reports for The Daily Citizen in Dalton. Thomason, who runs the weekly Fannin Focus, was jailed last month by Chief Appalachian Circuit Judge Brenda Weaver, who was unhappy about being negatively portrayed in the press and pounced when the publisher filed an open-records request. "Weaver had pressed charges against Thomason after he had requested spending records of government accounts under her control, creating a media firestorm," Zachary writes. "After the Georgia chapter of the Society of Professional Journalists, The Georgia First Amendment Foundation and the Georgia Press Association condemned Weaver’s actions, she requested all charges be dropped," but senior Judge Richard Winegarden insisted Thomason appear in court on Monday. 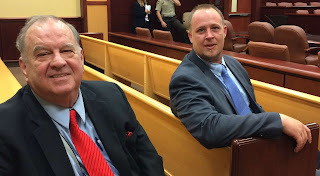 Despite the prosecutor filing a motion to dismiss charges, Winegarden insisted on reciting all the charges against Thomason and Stookey, Rhonda Cook reports for The Atlanta Journal-Constitution. He also asked each reporter in attendance who they were and why they were there and commented on news coverage of the case. "In great detail, the judge recounted day-by-day dental appointments, medical tests, and other hearings he presided over in the period between being assigned to the case on June 29, receiving the prosecutor’s motion to dismiss the indictment and finding a place on his calendar to hold a hearing," Cook writes. "He noted that such motions are required to be heard in 'open court'." Winegarden said, “It’s important to address my reasons for doing what I’ve done.” Stookey said he had wanted the case to go to trial to earn an acquittal and to ensure that the prosecutor couldn't revive the charge. The study, which used data from 2005 through 2012 in 40 Pennsylvania counties, identified 35,000 asthma patients between the ages of five and 90 years, logging 20,749 mild attacks (requiring a corticosteroid prescription), 1,870 moderate ones (requiring an emergency room visit) and 4,782 severe attacks (requiring hospitalization). 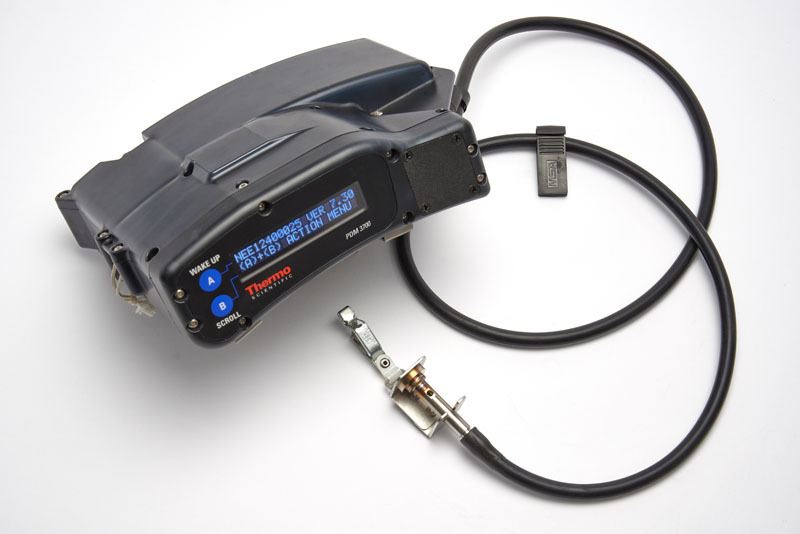 MSHA, which analyzed more than 20,000 dust samples collected by the personal monitors from April 1 to June 30, found that "about 99 percent complied with exposure limits," Estep writes. "MSHA said more than 98 percent of the samples would have been in compliance with a new standard set to take effect Aug. 1, when the permissible exposure level of breathable dust for a miner will drop from 2 milligrams per cubic meter of air to 1.5 mg."
The Senate and House this month passed bills requiring genetically modified foods to be labeled. President Obama is expected to sign the bill into law. "We suspect that this is the first skirmish in what could be a very long and protracted battle over GMOs and their presence in the food supply," opine Harwood Schaffer and Daryll Ray of the Agricultural Policy Analysis Center at the University of Tennessee, in their latest "Policy Pennings" edition. "We say that because the issues at stake for both sides involve much more than the labeling issue that is the subject of the current legislative actions." One problem is that when "talking about GMOs, different people mean different things—for instance, there is not just one GMO technology—and different actors in this discussion have different agendas," Schaffer and Ray write. "Opponents of labeling argue that the other side has to prove that the presence of GMOs in the food supply is dangerous. Proponents of labeling, on the other hand, assert that the suppliers of GMOs have to show that they are safe. 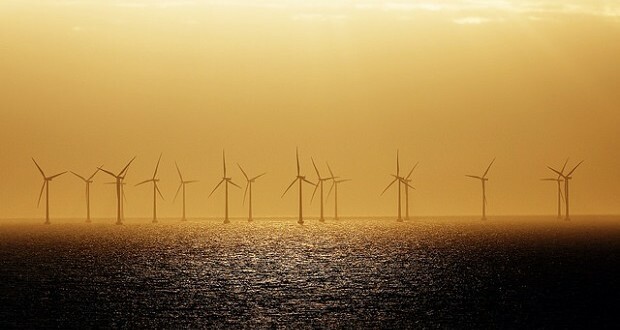 The sticking point is that the two sides cannot agree on what level of risk is safe enough." "Farmers in general have shed their early skepticism about GMOs and increased their use, despite the higher cost, because it simplifies the production process," Schaffer and Ray write. "The use of GMOs to control for weeds and/or pests has reduced the number of field passes they must make. We dare to say that no one misses the hot sweaty days walking beans with a sprayer or a hoe. Some farmers have used the time saved in reducing the number of field passes to increase their acreage." "Some participants in the debate see GMO labeling as an opportunity to resist corporate control of the agriculture and food system and the foods we eat," Schaffer and Ray write. "They see the use of GMOs as a tool that agribusiness uses to dictate what is grown and extract monopoly profits from producers and consumers alike. They believe that with mandatory labeling, consumers will reject products with GMO labels—the other side fears this might be true—and GMO grains and meats produced from animals fed GMOs will disappear from the marketplace the way the use of rBGH in milk production did when dairy processors began to label their milk product as rBGH-free." "The flip side of concern over corporate control is concern to protect corporate profits," Schaffer and Ray write. "If the production of GMO corn and soybeans were to drop by half, the profits of a number of companies could disappear. Companies that have almost completely aligned themselves with the production of GMO seeds and production of the associated chemicals would be in gravest danger if consumers were to embrace foods produced without GMOs to any significant degree." Oklahoma, Colorado and Pennsylvania will receive $9 million in grants from the Obama administration to help train rural doctors to fight rural drug addiction, Sarah Ferris reports for The Hill. The three-year pilot program will use telemedicine to "help expand treatment in areas that have been historically underserved by healthcare providers." The recent court decision upholding the Federal Communications Commission's classification of the internet as a public utility, and the validation of the FCC's "net neutrality" stance, "fail to rectify existing inequalities between urban and rural communities" when it comes to broadband, writes Jack Karsten of the Center for Technology Innovation at the Brookings Institution, a longtime liberal think tank. That's because the evolution of the internet has made true broadband a lot faster than it was just a few years ago. In 2015 the FCC "redefined broadband as connections with 25 megabits per second (Mbps) download speeds and 4 Mbps upload speeds," Karsten notes on the center's TechTank blog. "This is more than six times the previous standard of 4 Mbps download, allowing for multiple simultaneous video streams." The FCC's 2016 Broadband Progress Report says 39 percent of rural areas lack access to the newly defined broadband, while only 4 percent of urban areas lack it, Karsten notes, saying "This rural/urban 'digital divide' in access severely limits rural populations from taking advantage of a critical component of modern life. . . . Rural schools lack access to high-speed fiber and pay more than twice as much for bandwidth. In a growing world of personalized online curricula, internet-based research, and online testing, this severely restricts rural students from educational opportunities their urban counterparts may enjoy." Increases in gun sales, often spurred by public shootings and calls for more gun control, benefit state wildlife programs. The 1937 Pittman-Robertson Act, which provides federal aid to states for management and restoration of wildlife, is funded through an 11 percent excise tax on sporting arms—shotguns, rifles, ammunition, bows and arrows and other outdoor equipment—and a 10 percent excise tax on handguns. 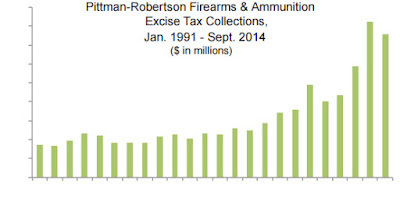 "With gun sales soaring, Georgia is receiving record amounts of conservation money from Washington," Dan Chapman reports for The Atlanta Journal-Constitution. Georgia, which has received more than $221 million since the program's inception, got more than $15 million from the program last year, a 300 percent increase from five years ago. Hunters mainly benefit from the program, Chapman writes. "Earlier this month, for example, the Georgia Department of Natural Resources set aside a few million dollars to buy 3,400 acres of prime deer-hunting land along the Flint River an hour south of Atlanta. "Yet nothing prohibits Atlanta hikers or birders from enjoying an expanded Sprewell Bluff Wildlife Management Area. The public property will also serve as critical green space in a state woefully lacking publicly owned and accessible land." Mississippi has received more than $116 million from the program, reports Mississippi Wildlife, Fisheries and Parks. The Kentucky Department of Fish and Wildlife Resources announced last week that funds from the act partially helped pay to acquire 2,900 acres of mostly forested land that will be used for hunters, anglers and wildlife watchers. A company patterned after Uber hopes to launch a similar system in the rural western panhandle of Nebraska. Liberty, a company created through the U.S. Department of Transportation Small Business Innovation Research program, is a "24-hour ride-hailing service—one that would complement the region’s public transit rather than compete with it," reports The Atlantic. Like Uber, the services will be provided by independent contractors. "Liberty will partner with local transit agencies, picking up where buses leave off," The Atlantic reports. 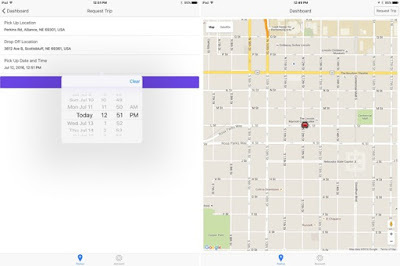 "Rides can be requested via an app or through the company’s call center, for instance, when buses stop running overnight or when appointments run long. 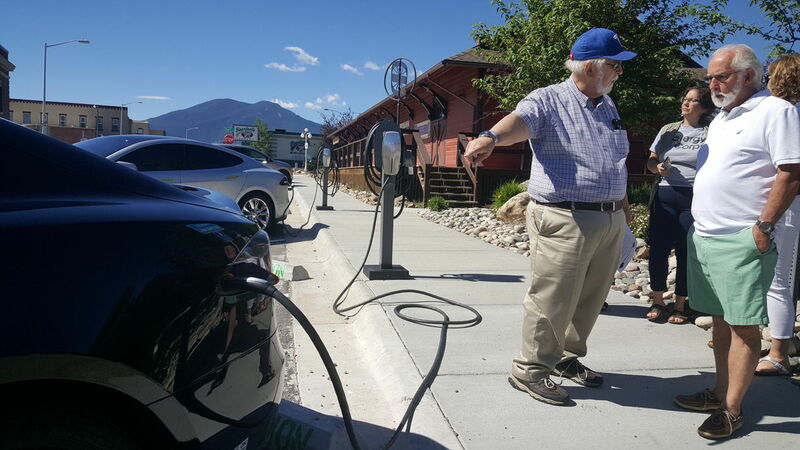 Lefler says they’ll try to keep the fare close to a dollar per mile, and drivers will get to keep 80 percent of the total charge. Liberty is also working with the medical community so that hospitals and other health facilities can book rides on behalf of their patients." The Environmental Protection Agency on Friday announced new rules that "solid waste landfill operators must begin capturing methane emissions from their sites at levels one-third lower than current standards permit," Devin Henry reports for The Hill. EPA said the new standards "will reduce landfill emissions by up to 334,000 tons a year by 2025 and produce climate benefits worth $512 million annually by then." Washington state's Farm to Food Pantry program was launched in 2014 to contract food banks with local farmers for fresh produce. The program, which began with six communities, expanded to 12 communities in 2015, Sheila Hagar reports for the Walla Walla Union-Bulletin. In 2013 Gov. Jay Inslee created Results Washington, a program designed "to make the state’s communities healthier," Hagar writes. "The initiative created statewide goals spanning economy, education, environment, safety, effective government and public health. Specific to Farm to Food Pantry, Inslee’s blueprint called for a 5 percent increase in healthful food options offered to low income families through pantries, farmers markets and meal programs by 2017." "The plan was financed with existing state food assistance dollars diverted to sustain the new concept," Hagar reports. "Not only does the program benefit low-income families without requiring additional state money, it benefits farmers and supports agricultural conservation practices, state officials say. 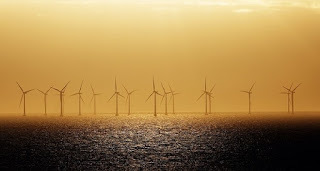 Washington, however, didn’t want to administer the new program, so it teamed with Rotary First Harvest, the nonprofit offshoot of the Seattle-area Rotary district."